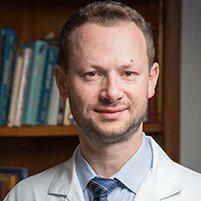 As a leading orthopedist in the Upper East Side and Forest HIlls, N.Y., areas, Dr. Tyorkin uses the safest, most effective, advanced minimally invasive surgery techniques so patients can get the best treatment tailored for for their unique needs and enjoy a faster recovery as well. What is minimally invasive orthopedic surgery? Minimally invasive surgery is a surgical technique that relies on the use of very small incisions, tiny cameras and specially-designed instruments to perform surgeries. The doctor uses one small incision to access the surgical site with the tiny camera, which is located at the end of a very thin tube called a cannula. The camera transmits images from the inside of the body to a video monitor so the doctor can visualize the area without needing to open the area using a long incision through skin and muscle tissue. One or two additional tiny incisions are used to insert the special instruments so procedure can be performed. Because it doesn't require big incisions, minimally invasive techniques typically are associated with speedier healing, less postoperative pain and a reduced risk of complications. Many patients also report their joint feels more “normal” following a minimally invasive procedure. Minimally invasive procedures can also eliminate the need for hospitalization or when hospitalization is required, shorten the stay. How is minimally invasive surgery used in orthopedics? Minimally invasive techniques are used to effect repairs to torn ligaments, cartilage or other soft tissues, to repair joint lining or address inflammation, to treat carpal tunnel syndrome, and even to replace joints in the knee, shoulder or other areas. How can I tell if a minimally invasive approach is right for me? Not every type of surgery can be performed using a minimally invasive technique. Dr. Tyorkin will review your case and your health and make a recommendation based on your unique health profile so you can understand which approach is better for your needs.